Oversized and cozy, this slash-neck pullover is the perfect match for bouncy, energetic Mecha. It knits up quickly but is laden with details, from the buttons at the shoulder to the gently curved, flattering hemline. This fits best with some positive ease. The model is wearing the size M and has a 36" bust, with 10" positive ease. Berroco Booklet 391 Catena Patterns - Arisha - PDF DOWNLOAD and Shibui Knits FW16 Collection Patterns - Avenue - PDF DOWNLOAD are both similar patterns: 14 (3.5 sts. 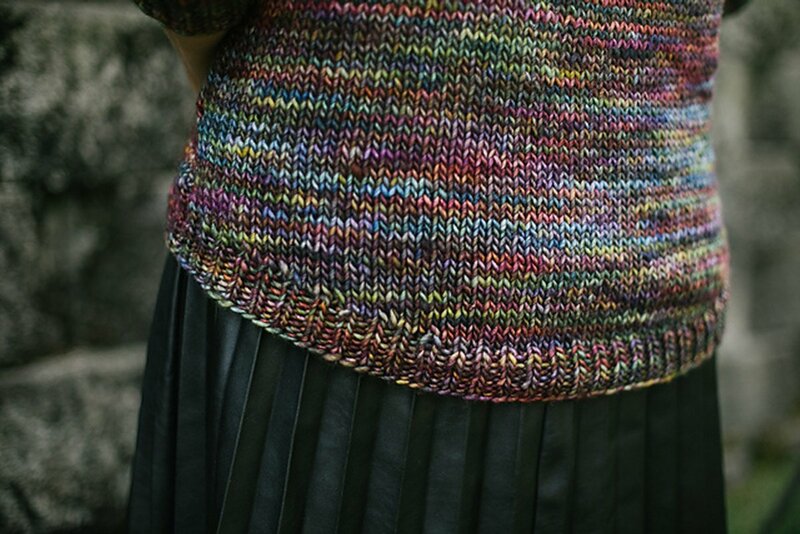 / inch) finished gauge, adult pullover garment, for women, and bulky (12-15 sts/4 in) yarn gauge.